Some errors were discovered in the adventures of Kinds and Shilka. 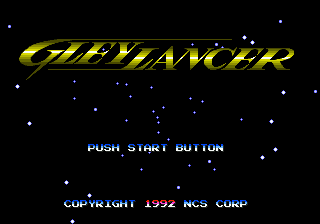 By way of apology, please accept this Gleylancer translation patch. We humbly request that you root out and destroy the bad versions, as we did to the people responsible. it was fixed in my version. Thanks for the quality stuff, keep it up! 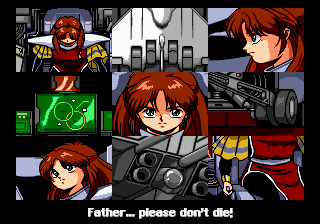 Good update, even if the title is still Engrish. Once I finish playing the game, I'll bring it up along with any errors I find if there are any. Another great job by MIJET Team. I agree about the font beig a bit difficult to read though. Nothing shall be done about the font. Glad you understand. Although I find the font a little fuzzy, it's not that big of a problem. BTW, this same font is used in a commercial game. Just food for your thought. I could be wrong, but it looks like the Chrono Trigger font.